Metaphysical intuitive Carmen Harra, PhD, has found that we all have an individual soul code. She reveals how to calculate your soul code so you can see who you truly are, understand your destiny, and use your free will to make the most of your potential. With your soul code in hand, you'll learn about the tool of prediction: the more you think on a specific potentiality, predict it, and put your intentions to work, the more likely it is you'll achieve it. Combining intention with action is the practice of manifestation and free will. 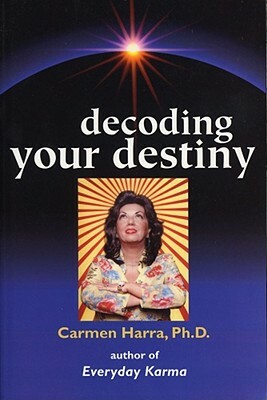 Decoding Your Destiny includes exercises, tips, and stories from Dr. Harra's clients to help guide you as you nurture your own intuitive abilities. Dr. Harra also gives her own account of the future with predictions of a better world. Her vision for the next thirty to 100 years provides fascinating food for thought. "Through Carmen, one sees the invisible, believes the incredible, and receives the impossible." "Carmen Harra is a gifted psychic who exudes confidence. Most notable was her level of insight. Seeing the revelations of her predictions was absolutely incredible...it was as if she were writing the script before events happened." "Carmen Harra's new book is a spiritual manifesto for healthy, happy living. Reading it is like a private consultation with Carmen herself, a breath of fresh air, and a new point of view on the road to destiny." "Carmen Harra is amazing. With her process of meditation I have become so much more aware of my potential."